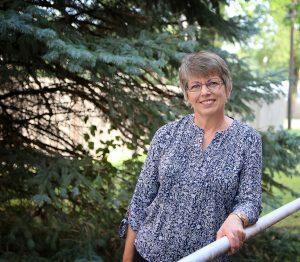 I first became licensed as a real estate agent in 1985 and established Lindsborg Realty as my own agency in 1989 to offer quality real estate services to Buyers and Sellers in the Lindsborg community. I’ve sold a bunch of homes in Lindsborg, many multiple times! It’s always interesting to go back to a property to see how that owner has made it their own. I’m a proud Bethany College graduate and have been a resident of Lindsborg since 1976 with active involvement in college, community, business & church events. Feel free to browse my current listings at www.lindsborg-realty.com and let me know if you want to see any of those homes. Any other property offered for sale in the Lindsborg area can also be viewed with me. Liz Lahodny has been working with me as a Lindsborg Realty agent since 2010 and purchased the agency in July, 2017. I continue to work full-time and specialize in residential and rural listings and sales in the Lindsborg area. Contact me if you’re thinking of selling and I can provide a market analysis to see what your property might be worth. The 2018 market has been quite active and we’re having a great year of sales!